examines the state of things asserted in the premisses, forms a diagram of that state of things, perceives in the parts of the diagram relations not explicitly mentioned in the premisses, satisfies itself by mental experiments upon the diagram that these relations would always subsist, or at least would do so in a certain proportion of cases, and concludes their necessary, or probable, truth. 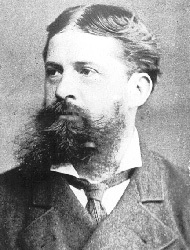 Peirce’s theory is predicated on a few simple principles and extends to inferring probabilities, decision making, and to recursive reason in regards to other people’s reasoning. In this way, one could tie the theory to three main predictions, which, I should add, have all been corroborated experimentally. 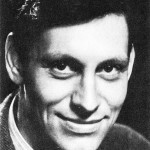 The Scottish psychologist Kenneth Craik (Figure 2) was the actually the first one to use the term mental model. Craik proposed that the mind constructs small-scale models of reality, which it uses to predict similar future events and form theories. Each model represents a possibility. Models are iconic insofar as possible, that is, their parts and relations correspond to those of the situations that they represent. Models explain deduction, induction, and explanation. The theory gives a ‘dual process’ account of reasoning. The greater the number of alternative models needed, the harder it is: we take longer and are more likely to err, especially by overlooking a possibility. The principle of truth: mental models represent only what is true, and accordingly they predict the occurrence of systematic and compelling fallacies if inferences depend on what is false. The meanings of terms such as ‘if’ can be modulated by content and knowledge. Mental models are analogous to what Jung called archetypal images. They are symbolic representations that the mind uses to construct a basic understanding of world and self. In a sense, one could say that both archetypal representations and mental models both provide the basis for how one can understand the world. Both the former and the latter allow for one to make predictions and assumptions about how things work. 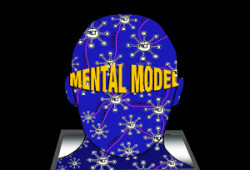 Mental models are largely a priori and unconsciously influence our behavior and decision making. Thus, it is not at all difficult to see the parallels between Peirce’s philosophy and C.G. Jung’s psychology.